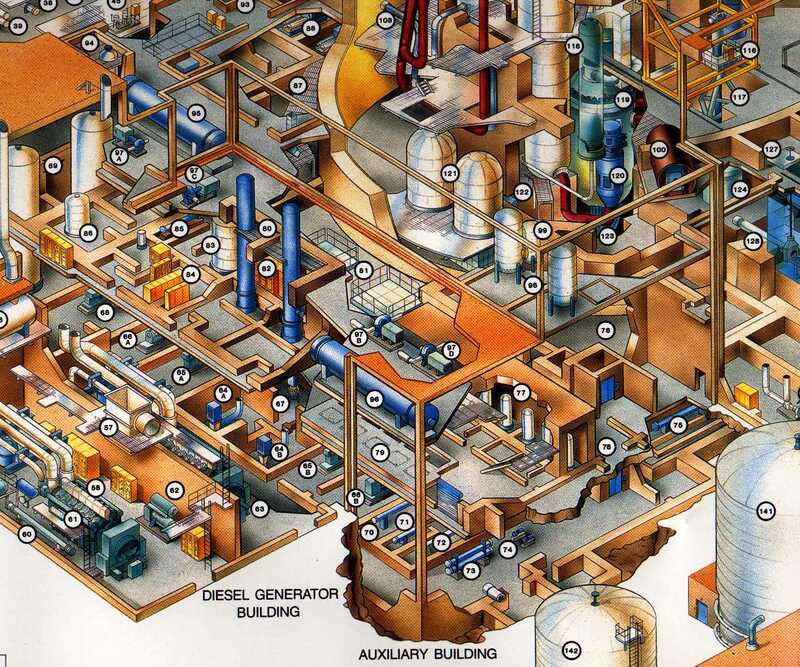 The PWR steel containment is connected to the Auxiliary Building. 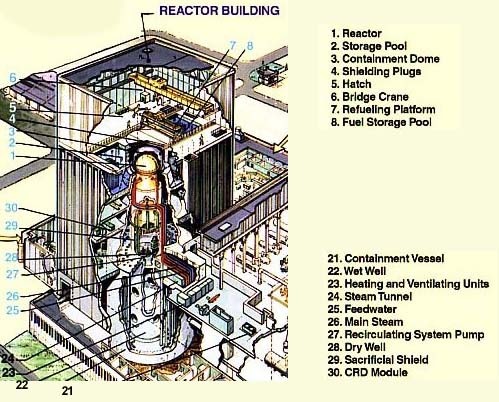 The Reactor Building surrounds the steel drywell in the case of the BWR design. Copyright © 1996-2004. Joseph Gonyeau, P.E.. The Virtual Nuclear Tourist. All rights reserved. Revised: April 24, 2004.